While tuberculosis may seem like a remote and ancient disease threat to many of us today, it was once responsible for 25% of the annual deaths in Europe. With such a deadly presence, one would assume that tuberculosis was feared and reviled, but surprisingly that was not entirely the case. The physical ravages of this particular disease include weight loss, lethargy, flushed cheeks, and pale skin. These symptoms are actually in line with the beauty standards of the Victorian period. The Victorian period, which was the latter half of the 19th Century, was marked by a strong class consciousness in which beautiful, well-bred women were expected to do no physical work whatsoever. Correspondingly, any hints of a suntan or muscle tone were frowned upon as a hallmark of the unattractive working class. Respectable women would be thin, pale and of delicate health. Upper-class women were even considered more prone to tuberculosis, making affliction with the disease an object of class status. The thin, delicate wilting flower of a woman was widely portrayed in the art and literature of the period. Many of the beauty icons of the day were depicted as skeletal thin with pale skin, glinting eyes, and red cheeks and lips. Since tuberculosis provided a woman with these features throughout the natural course of the disease, it managed to become fashionable while stalking European people with deadly consequences. 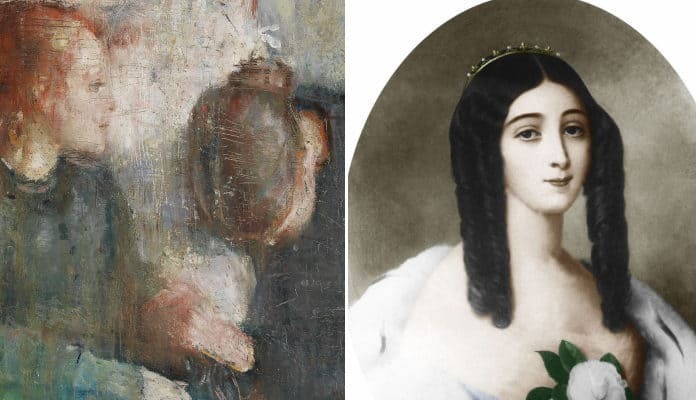 When one thinks of the great beauties of the Victorian era, some of the famous portraits of the time, like that of Marie Duplessis, likely come to mind. Such pictures depict thin, soft looking women with ghostly pale skin. They have wide, bright eyes with no color in the skin aside from possibly rosy cheeks and lips. Their chests and shoulders are likely bare, exposing delicate bones. Unluckily for the women of the day, affliction with consumption allowed the sufferer to display all the beauty hallmarks of the day without violating the period’s strict hygiene standards. The Victorian era was also, despite being named after a queen, a profoundly patriarchal period where women were viewed as delicate, frail creatures that needed to be cared for by men. The image of the fragile, pale woman on a fainting couch is an iconic scene of the period. Women were viewed as almost childlike in the period, with the need for caretakers and supervision. A thin, fragile birdlike woman was the ideal.